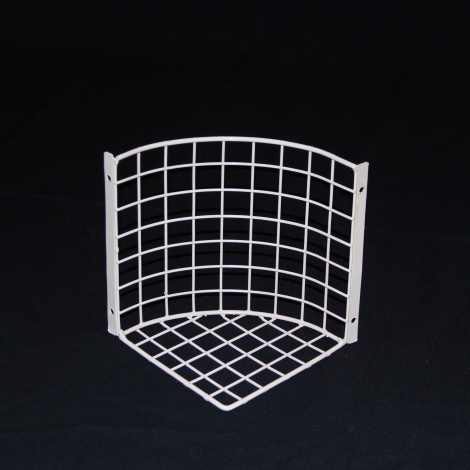 Wire mesh corner-mounted guard to suit motion detector – for indoor use. 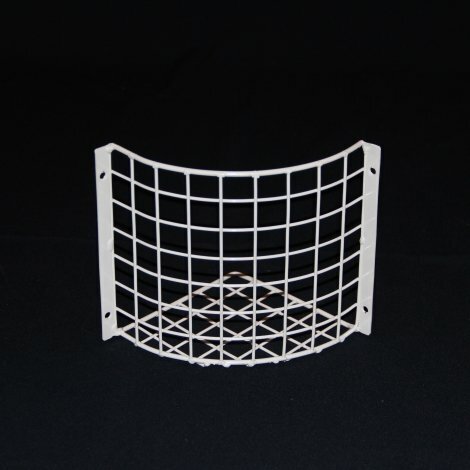 AIANO PIR/MD sensor guard is a robust wire mesh guard designed to fit many popular makes of small PIR motion detector sensors and small sensors that are mounted at the corner between two walls. 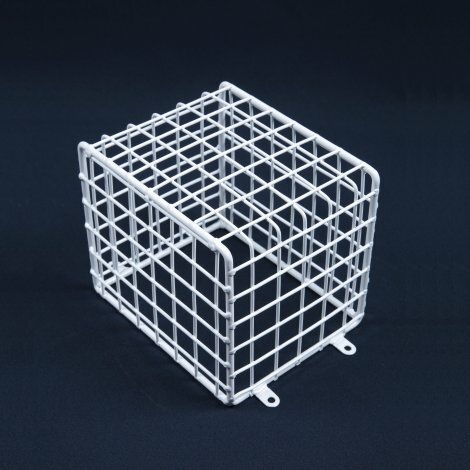 The PIR/MD security guard is powder coated white to provide an attractive and durable finish, making it suitable for indoor use. 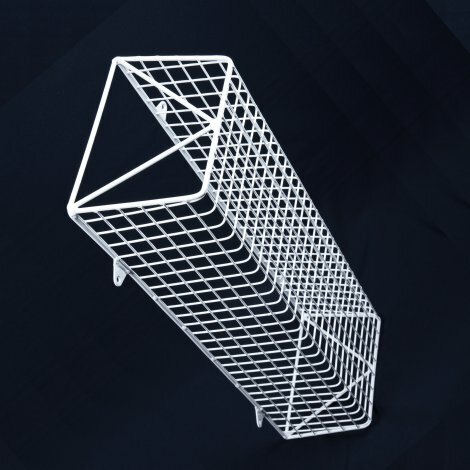 These sturdy curved bulkhead cages are made from steel weld mesh on a strong round bar frame, and are powder coated white. It is suitable for all kinds of corner mounted sensors and detectors. The guards have flat bar sides with holes for fixing to the wall. 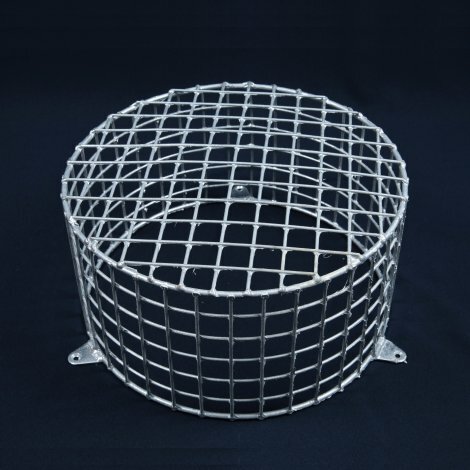 The PIR/MD bulkhead cage will completely enclose your fitting and provide protection from damage in a wide variety of environments including housing association buildings, schools, sports facilities, stations and car parks. Which guard size? Unlike radiator guards, for sensor guards there is no strict rule about the clearance required between the light fitting and the guard. For most standard types of light fitting it is recommended that there be clearance of about 30-50mm between the light fitting and the guard. Please see Additional Information for a partial list of compatible products. Compatibility: AIANO PIR/MD sensor guard is designed to fit many popular makes of sensor fitting. It is important to check the dimensions of your fixture before purchasing a sensor guard. 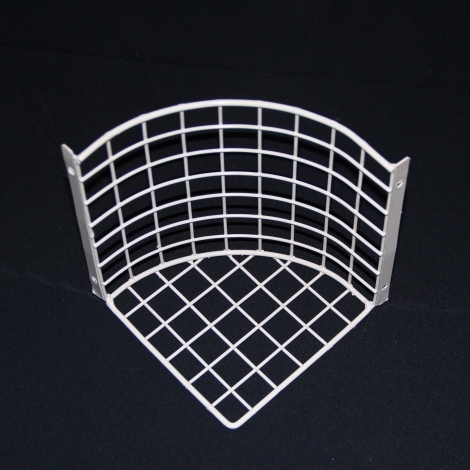 AIANO sensor guards are made from 25mm x 25mm mild steel weld mesh with flat bar mounting brackets. 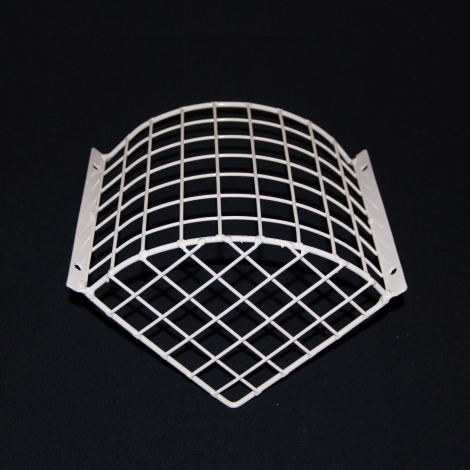 Made from 1" x 1" x 12swg (25 x 25 x 2.64mm) steel weld mesh on a 5swg (5.38mm) frame, with flat bar mounting brackets and powder coated white after manufacture. This AIANO guard suits many small corner-mounted movement detectors and sensors.